Sign up for our monthly e-newsletter and keep up-to-date on what's happening around the INSEC. Contribute to the creation of and participate in “innovation” vocational training system framework. The Police Force of Hungary, authorised by the Police Act (Act XXXIV of 1994 on Police) and other legal statues, in the scope of its duties, in the field of public security, internal order, crime prevention, crime control and state administration shall act as a general authority of criminal investigation operative in the prevention and disclosure of criminal offences; proceed as an authority of administrative infractions taking part in the prevention and exploration of administrative infractions; attend to tasks related to producing, selling and using certain devices and substances which are dangerous to public security; perform tasks as a traffic authority and a traffic policing body; perform policing duties related to maintaining the order of public premises; protect the life and physical security of persons of a particular importance in the interest of the Hungarian Republic and guard certain facilities; perform tasks of maintaining order assigned to its competence. The National Security Office, hereinafter referred to as GNS, is a central state administration, endowed with administrative autonomy, depending on the Prime Minister or the Cabinet member in whom one delegate. The National Security Authority, hereinafter referred to as ANS, directs the GNS and is the entity carrying on exclusively the protection and safeguarding of classified information. The GNS's mission is to ensure the security of classified information at the national and international organizations of which Portugal is part and exercise its authority accreditation of individuals and businesses access to and handling of classified information, as well as the licensing authority and supervision of entities acting under the Electronic Certification System State - Infrastructure Public Key (SCEE). The Romanian Border Police is part of the Ministry of Administration and Interior and is the specialized state institution which carries out the attributions appertaining to it and referring to the surveillance and control of the crossing of the state border, the prevention and fight against illegal migration and against acts specific to cross border criminality carried out in its area of competence, to the compliance with the judicial regime of the state border, passports and foreigners, the ensuring of the interests of the Romanian state at the lower Danube and the Sulina Canal located outside the border area, in the contiguous area and in the economic area located in the exclusive economic area, the keeping of public order and peace in its area of competence under the conditions of the law (art. 1 of the Emergency Ordinance no. 104 of June 27th 2001 regarding the organizing and functioning of the Romanian Border Police). 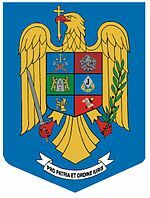 Responsible for approximately 3.150 km of borders, the Romanian Border Police permanently copes with the extremely varied problems and illegal means of transiting the Romanian border, starting with the illegal migration, the traffic in drugs, guns and stolen cars and finishing with smuggling ‐ in all its forms of manifestation. Organized in a way similar to the model of the institutions in the states of the European Union, the Romanian Border Police makes important efforts in the field of prevention and fight against the cross border criminal phenomena and to carry out and comply with the internal and international legislation in force so that at the borders of Romania, its specific activities would match the international standards. OU BALTIC INNOVATION AGENCY B.I.A. The Estonian Academy of Security Sciences is a state institution, providing professional education for civil servants belonging in the area of government under the Estonian Ministry of the Interior. The Academy was established in 1992 after Estonia regained its independence. The mission of the EASS is, through internal security related academic education, research and development activities, and also through the training of honest and competent public servants, to create a secure state and conditions for stable development across the state of Estonia and therewith contribute to the security of the entire European Union (EU). Studies are implemented on the levels of vocational training, professional higher education and Master’s studies as in both forms of daily- and distance studies. EASS as learning, research and development centre The Academy of the Security Sciences has created excellent opportunities for successful academic work, conducting applied research, professional self-development and cooperation with organizations for its lecturers and students in Estonia and in foreign countries. The EASS publishes research papers and other internal security and public service-related educational resources. As a successful civil servant must develop themselves during their entire service, the Academy of Security Sciences offers training courses to civil servants organized by the Centre for Public Service Training and Development within the Academy of Security Sciences. Skopje, is capital city of the Republic of Macedonia. It is situated on the upper course of the Vardar River and enjoys a strategic position along the famed north-south Balkan route between Belgrade and Athens. Skopje was founded as an Illyrian city and is mentioned in history as a 4th century Roman post called Scupi. Naturally, the city has a rich heritage to flaunt and plenty of valuable cultural and historical monuments in its vicinity, which attracts the globetrotters. Today Skopje is a melting pot of political, economic, and cultural activities in Macedonia. It is a beautiful and modern city with population of over 600,000 (2002), covering an area of 1.818 sq. kms. The city is buzzing with activities in Government offices, shopping centres, hotels, theatres, museums and cinemas. Industrial development of the city has been accompanied by an intensive development of the trade and banking sectors, as well as an emphasis on the fields of culture and sport. But it was not all the same forever. Skopje makes it impression by balancing the new-age modern needs with a robust historical past. It is not only the largest city in Macedonia but also the biggest trading and metal-processing centre. It manages to arouse immense historical curiosity with remains of Neolithic settlements that have been found within the old Kale fortress. All these are easily accessible from the hotels and bed and breakfasts of the city with an efficient transport system. Visitors with a mind of their own can also opt for the ‘house on rent’ facilities or board in one of the affordable hostels. During the last years, the city of Skopje has shown a significant economic growth, with its gross domestic product (GDP) per capita growing at a fast pace. ( GDP - per capita: $10,500 (2011 est. ),Inflation rate: 1.6% (2010 est.). The Policia Judiciaria (PJ) mission, according to its Organic Law and the Law on Organization of Criminal Investigation (LOIC), is to assist the judicial authorities to investigate and develop and promote preventive action, detection and investigation of its jurisdiction or as may be assigned by competent judicial authorities. The Portuguese Criminal Police, is a higher criminal police body under the Ministry of Justice, supervised by the Public Prosecution Authority. Its assignments are, in general, criminal prevention and investigation, as well as supporting prosecuting and judicial authorities. As a criminal investigation police force, PJ is competent for the investigation and prevention of the most serious crimes, such as cyber crime, cyber security, crimes against national critical infrastructures, State security offences, conspiracy and terrorism. PJ has exclusive competence on the crimes, among others, of drugs trafficking, money counterfeiting and counterfeiting of other payment means, fraud in obtaining a subsidy, grant-in-aid or credit or their misappropriation, corruption, embezzlement and unlawful economic sharing in a deal, economy and finance-related offences committed in an organised way and resorting to computer technology, economy and finance-related offences, terrorism, slavery, kidnapping, hostage-taking, and robberies perpetrated in credit institutions or in Public Treasury offices.